Toni Erdmann is a thoroughly original comedy/drama from German director Maren Ade. It portrays a father-daughter relationship like no other you’ve seen. Winfried Conradi (Peter Simonischek) is feeling bereft after the loss of his longtime four-legged companion and the demise of his job as a music teacher, so he sets off on a surprise visit to his estranged daughter Ines (Sandra Hüller) in Bucharest, where she’s busily climbing the company ladder in her role as a corporate strategist. It’s quickly evident that the very serious Ines can’t take on the emotional baggage that arrives with her practical joker father so, after a few tense days together, Winfried prepares to return to Germany. 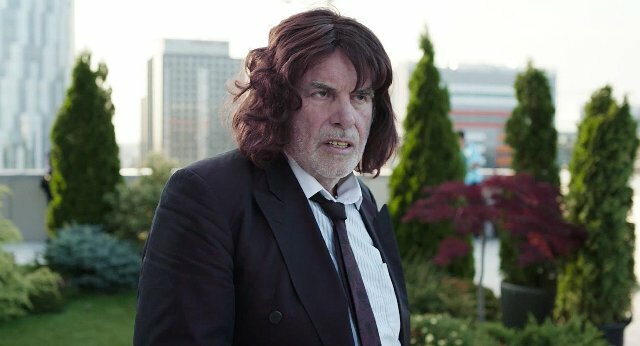 However, later that night when Ines is at a bar with colleagues, he turns up in a disguise replete with an unkempt wig and set of molars that would have sat more comfortably in a horror movie and introduces himself as Toni Erdmann, life coach. Faced with no other choice, Ines goes along with the charade out of sheer embarrassment but you also get the feeling that some part of her wants to participate in this risky, weird deception. Hers is a sterile, controlled world so her father’s anarchism is slyly welcome. It’s a bizarre plot device but it works well in one of the most stimulating scripts we’ve seen for some time and it artfully comments on the emptiness at the heart of globalism. Director Ade’s screenplay is long but never less than intriguing - in a world of predictable stories this one will keep you guessing till the end. Both Hüller and Simonischeck work brilliantly together; as father and daughter they constantly push and grate against each other, yet in some strange way this friction serves to bring them closer together and the film’s dead-pan denouement is gratifyingly cathartic. No surprise then that Toni Erdmann won the FIPRESCI Prize at the Cannes Film Festival and is a contender for Best Foreign Language Film at the Academy Awards this year. It is both zany and heart-warming and shouldn’t be missed, especially if you prefer a film to challenge you rather than just wash over you.